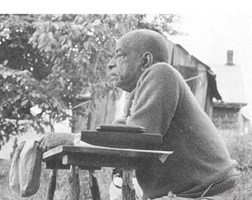 When our spiritual teacher, A.C. Bhaktivedanta Swami Prabhupada, explained the philosophy of Bhakti Yoga to all of us students in the 1960s-70s there was already a small ecology movement in this country. Srila Prabhupada’s motto of “Simple Living, High Thinking” was very attractive to us because we believed Western culture had lost it’s way, and was overwhelmed by greed and materialism. It seemed futile to think that accumulating “things” would make us happy. 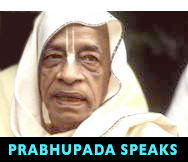 Prabhupada’s motto rang true. He told us that everything is the energy of the Supreme (Krishna), that everything is interconnected. And since it is, to waste Krishna’s energy is short-sighted and unacceptable. He related stories of how his father would pick up a rice grain from between the cracks in the floor, rather than waste it—telling our guru (his son) that it was not good to waste what Krishna had given them. He also talked about how his father would set out little bowls of rice at night in his cloth shop for the mice so they would not eat the cloth. Rather than trap and kill the mice, he supplied their meager needs so that they would not bother his goods. Prabhupada taught us that we would each receive our “quota” from Krishna and material nature, and that we should be satisfied with what Krishna supplied, and not to envy or try to assume anyone else’s quota. He said we should not focus on accumulating wealth or possessions, but accept what came to us in the course of our service and use it to serve Krishna and his devotees. He told us “Utility is the Principle” we should follow. We need not renounce something (like technology) which can be effectively used in the service of Krishna and his devotees. The trick is in having the individual and collective honesty to determine when the technology (or whatever) is being utilized for Supreme service, rather than solely for personal sense gratification. He also said that “Purity is the force”—that along with living simply, we should endeavor to live purely. 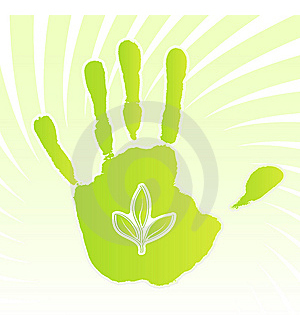 When you live purely, and consciously, the earth does not suffer. Prabhupada established farm ashrams because he believed that the general populace should be shown how living simply and in harmony with nature, combined with serving the Supreme, could be a satisfying way of life. We lived at one of Prabhupada’s farm ashrams for several years. The farm was practically self-sufficient. We cared for cows who supplied abundant milk, and we used their manure for fertilizer. We trained oxen to plow the fields to grow the vegetables we ate each day. We heated the buildings with dead trees we cut up from the farm property, and we worked together to build by hand whatever needed to be built. And while it was an austere life, it was also satisfying. In addition to the training in Bhakti philosophy, the farm taught us practical lessons, and trained us that happiness did not come from “things,” but from within. Those years at the farm ashram changed the course of our lives. Since then, many of Srila Prabhupada’s disciples have started communities around the world that aim at self-sufficiency, and explore self-contained techniques such as natural pest and weed controls, the production of alternative fuel, waste management, and crop rotation. In keeping with the Krishna conscious ideal of “simple living and high thinking,” they’ve made it their goal to produce only what they need and to avoid selfish excesses, thus providing a model for a conscientious spiritually-centered society. 50% of all the earth’s water consumption is used for livestock production. It requires 100 times the amount of water to produce 1 lb. of meat—than it does to produce 1 lb. of wheat. It takes less water to feed a vegetarian for a YEAR, than it does to feed a meat-eater for a MONTH. One acre of pasture produces about 165 lbs. of beef, but the same acre can produce 20,000 lbs. of potatoes, for example. It takes 16 lbs. of grain to produce a lb. of beef. The American livestock population consumes enough grain & soybeans each year to feed more than 5 times the entire American population. 50 times more fossil fuels are needed to produce a meat-centered diet than for a vegetarian diet. Agriculture is the leading cause of water pollution in the U.S.—with most due to livestock manure. From 1960 to 1985, alone, 40% of all Central American rain forests were destroyed to create pasture for beef cattle. A typical 4 oz. Hamburger (harmburger) made from rain-forest beef represents the destruction of 55 sq. feet of tropical forest (an area = to the size of a small kitchen). An acre of trees is spared, each year, by each individual who switches to a meatless diet. The philosophy of Bhakti Yoga is so ancient it precedes the environmental impact we’ve seen meat based diets have. It was not the primary reason Bhakti Yogis are vegetarian. A Bhakti Yogi is a vegetarian because it is requested by the Supreme, Krishna. Krishna considers all living beings to be significant, each a spirit soul worthy of His love. He has asked that we treat the animals in this world as brothers and sisters, and allow them to live out their natural life without fear of slaughter. It is noteworthy, however, that the diet promoted by Krishna also happens to be the most beneficial for the planet, and for our bodies. A coincidence? We don’t think so. This was a superb article! I plan to use the statistics in writing and lecturing.